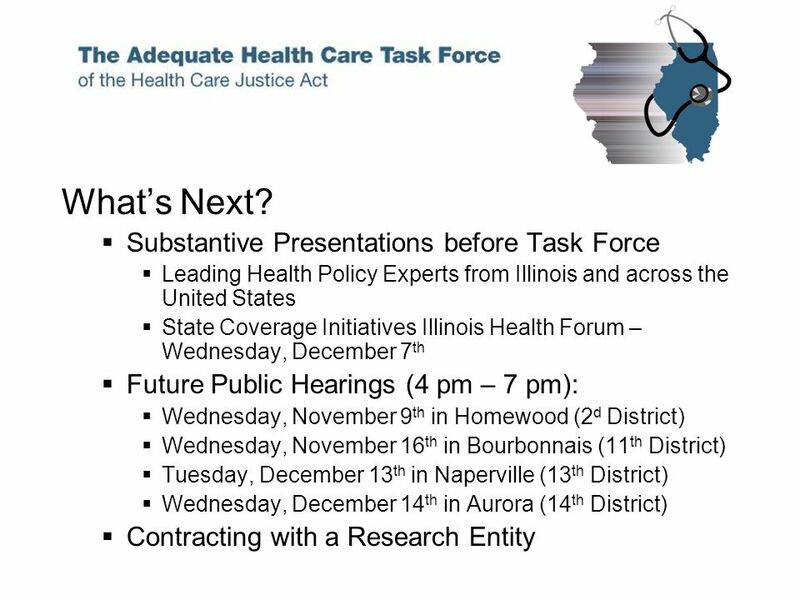 Presentation to The Medicaid Leadership Group David Carvalho Deputy Director Office of Policy, Planning & Statistics, Illinois Department of Public Health. 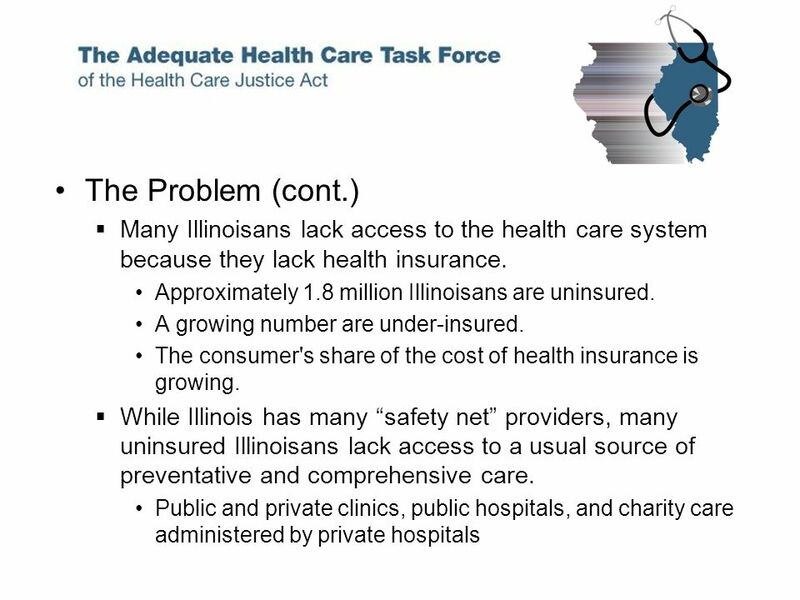 4 The Problem A persons ability to access the health care system influences his or her treatment, outcomes, and health status. 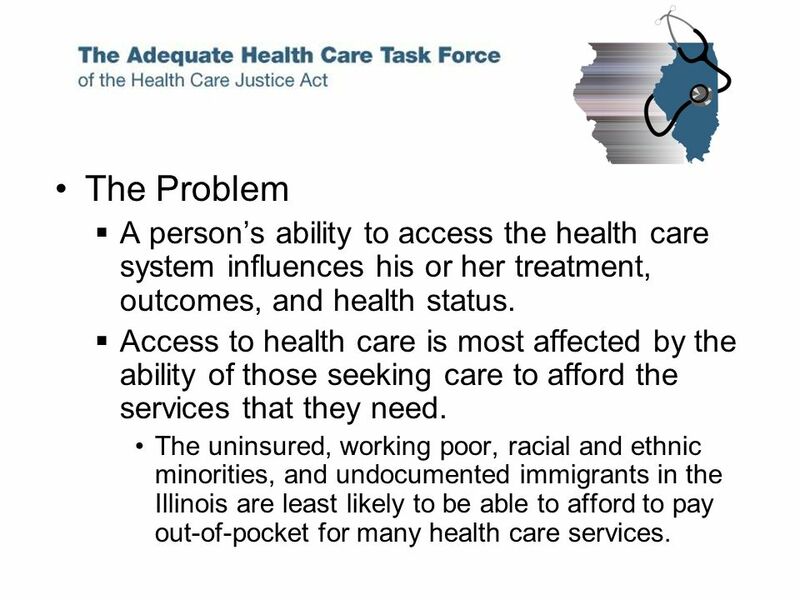 Access to health care is most affected by the ability of those seeking care to afford the services that they need. 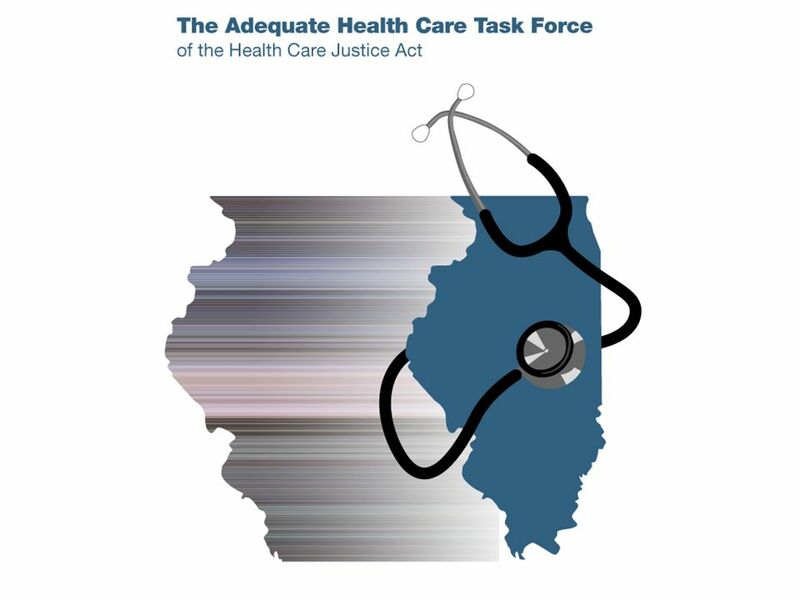 The uninsured, working poor, racial and ethnic minorities, and undocumented immigrants in the Illinois are least likely to be able to afford to pay out-of-pocket for many health care services. 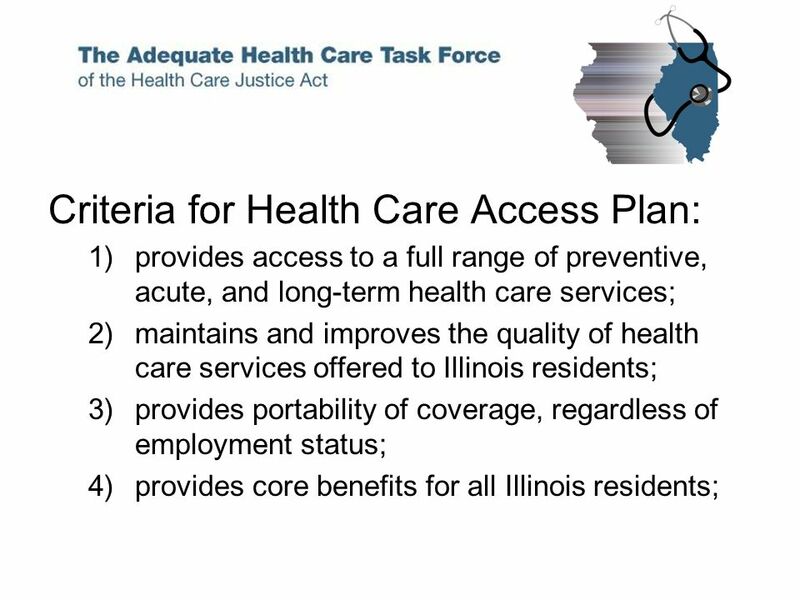 12 Criteria for Health Care Access Plan (cont. 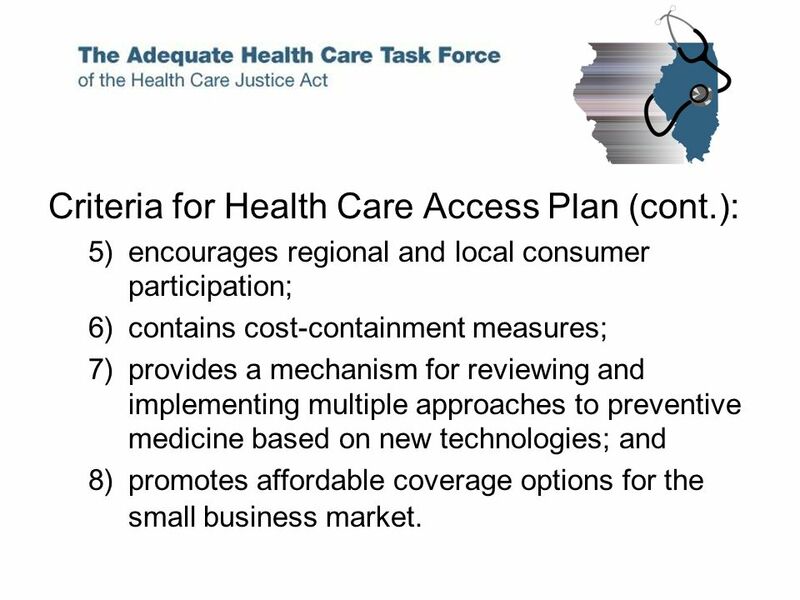 ): 5)encourages regional and local consumer participation; 6)contains cost-containment measures; 7)provides a mechanism for reviewing and implementing multiple approaches to preventive medicine based on new technologies; and 8)promotes affordable coverage options for the small business market. 18 Recommended Plan(s) Must Include (cont. 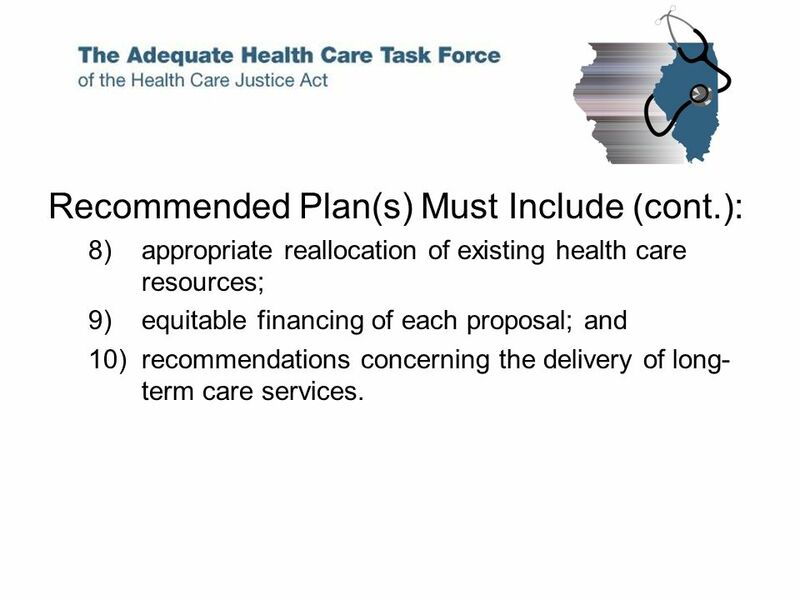 ): 8)appropriate reallocation of existing health care resources; 9)equitable financing of each proposal; and 10)recommendations concerning the delivery of long- term care services. 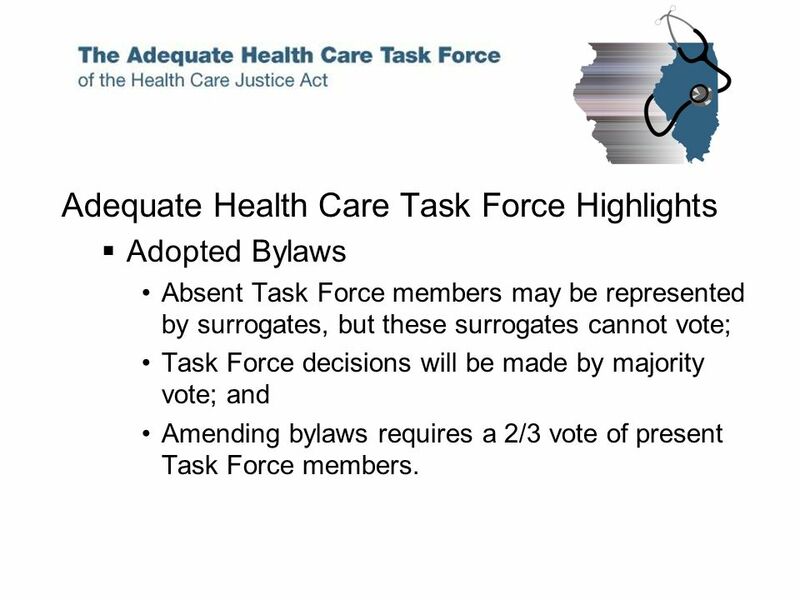 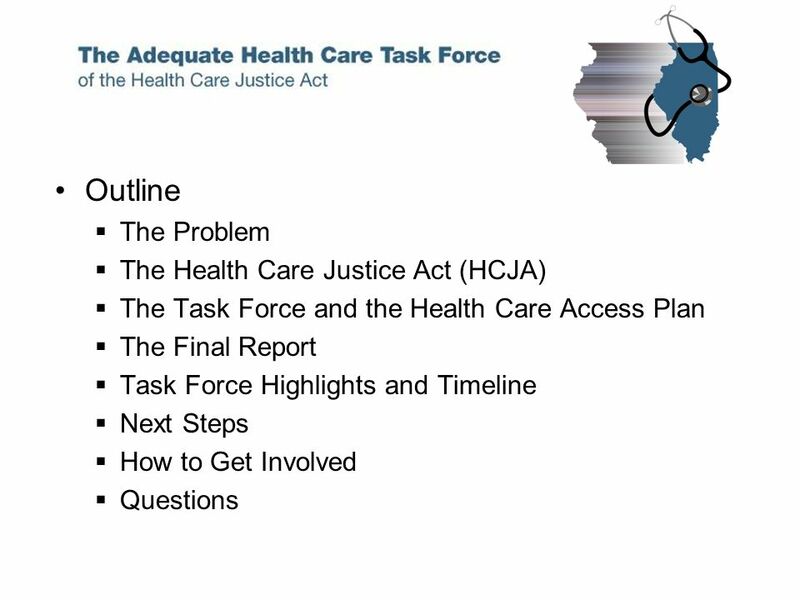 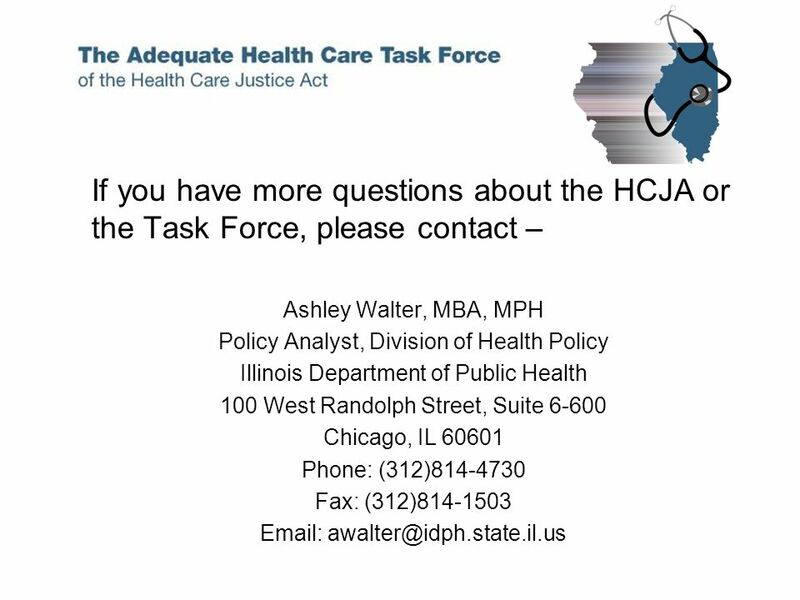 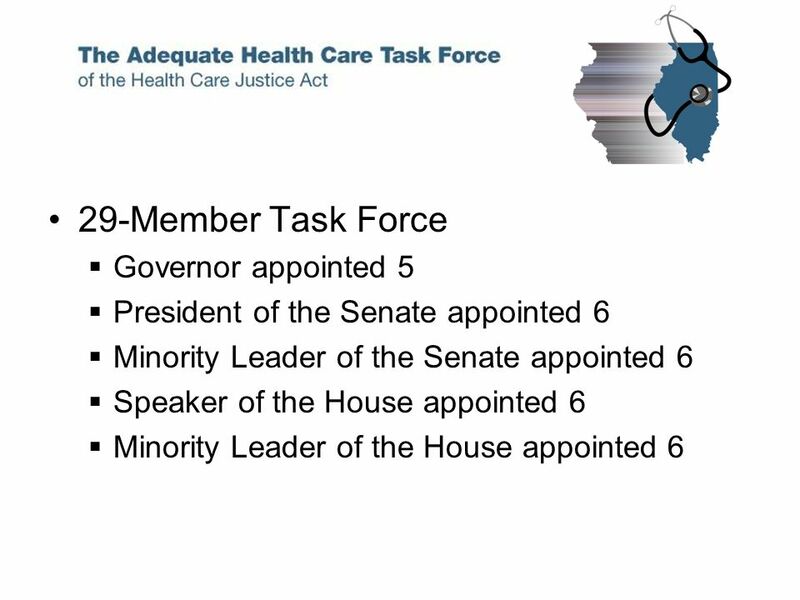 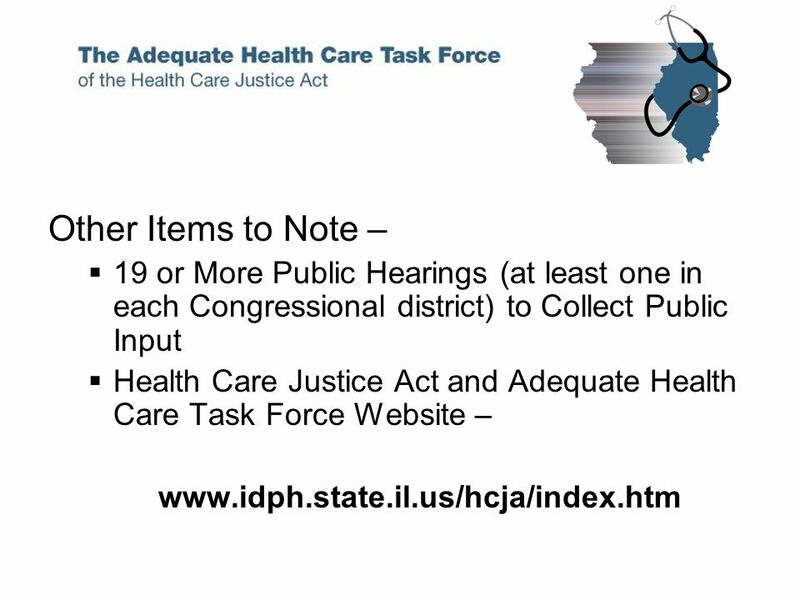 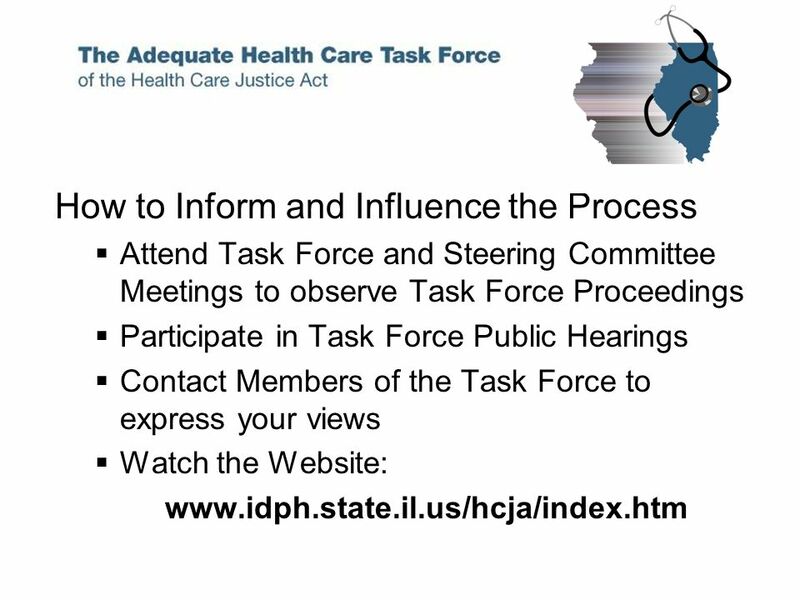 20 Adequate Health Care Task Force Highlights Adopted Bylaws Absent Task Force members may be represented by surrogates, but these surrogates cannot vote; Task Force decisions will be made by majority vote; and Amending bylaws requires a 2/3 vote of present Task Force members. 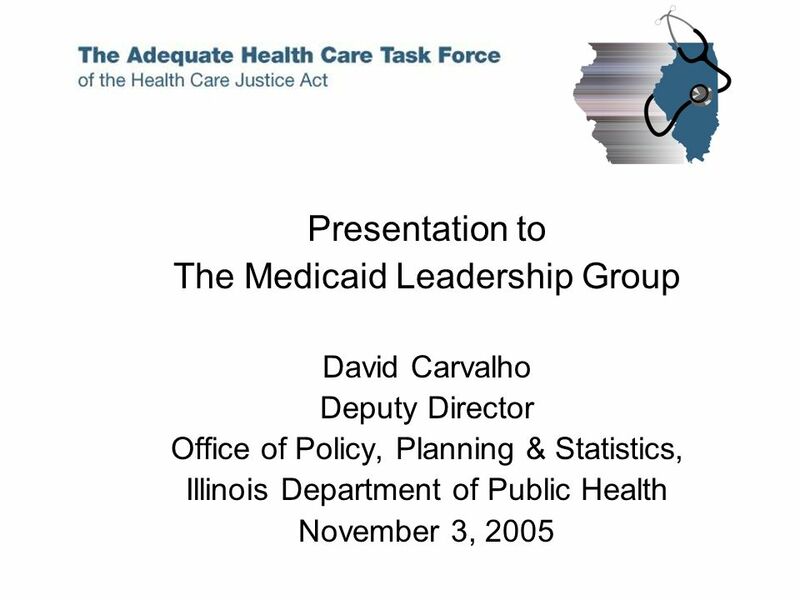 Download ppt "Presentation to The Medicaid Leadership Group David Carvalho Deputy Director Office of Policy, Planning & Statistics, Illinois Department of Public Health." 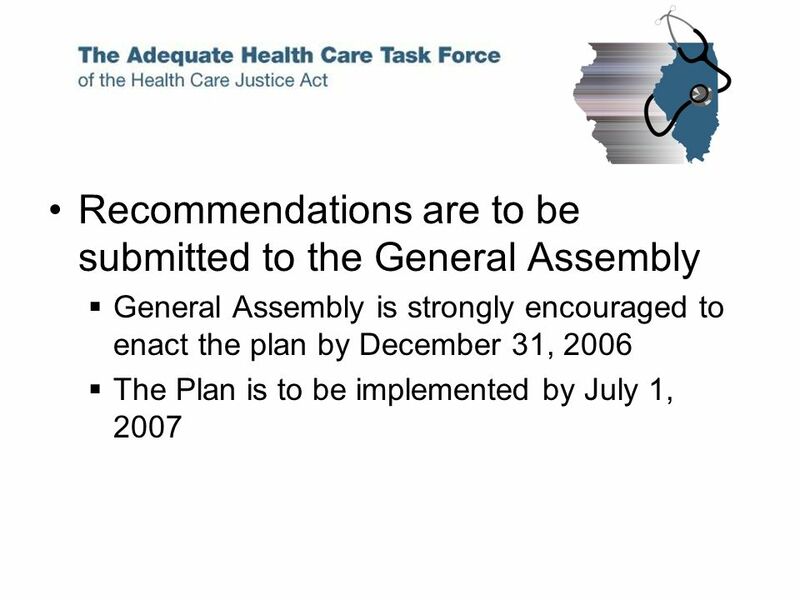 Governance Strategy August 21, Trent University Alumni Association Purpose – –Provide background information and a status update on the governance. 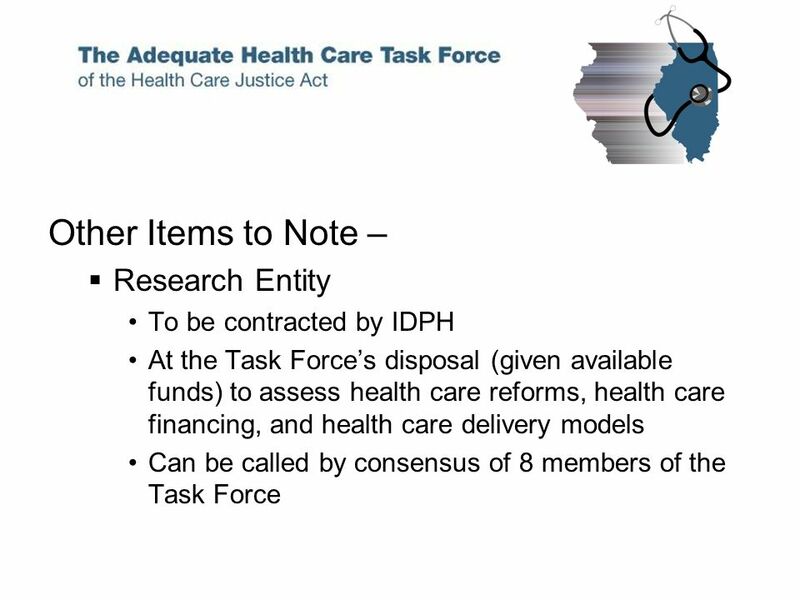 Vermonts Global Commitment Waiver Prepared by Vermonts Legislative Joint Fiscal Office Used as background material at Families USAs Health Action Conference. 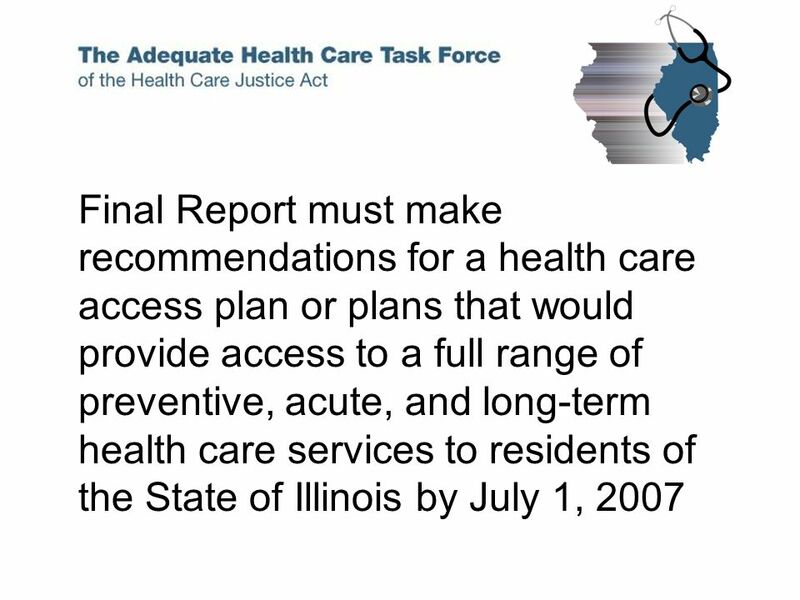 Commission on Rationalizing New Jersey's Health Care Resources April 29, 2008 Department of Health and Senior Services. 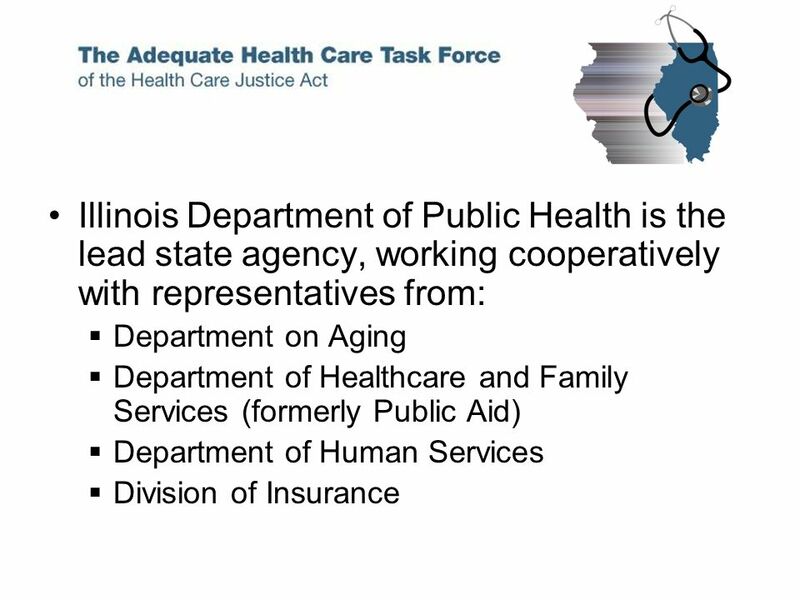 State of Illinois Illinois Department on Aging. 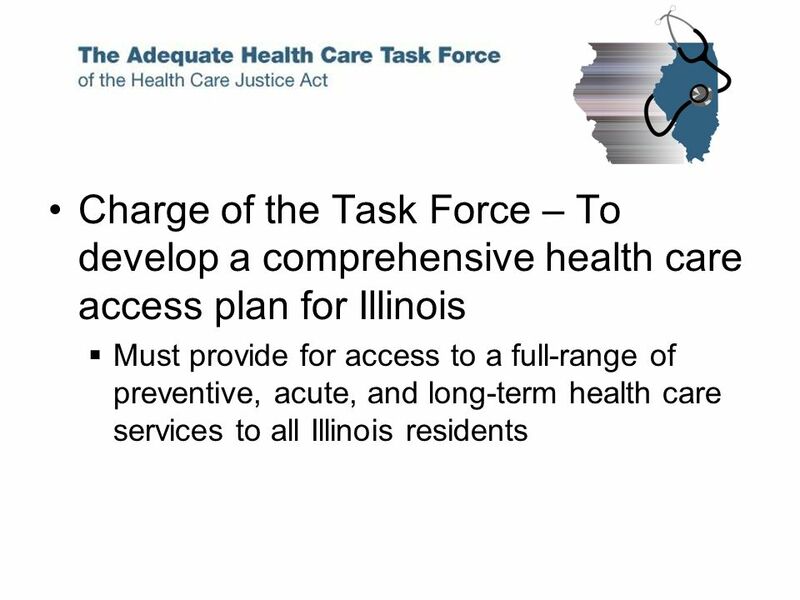 HISPC-Illinois II The Public-Private Partnership Moves Forward on Privacy and Security. 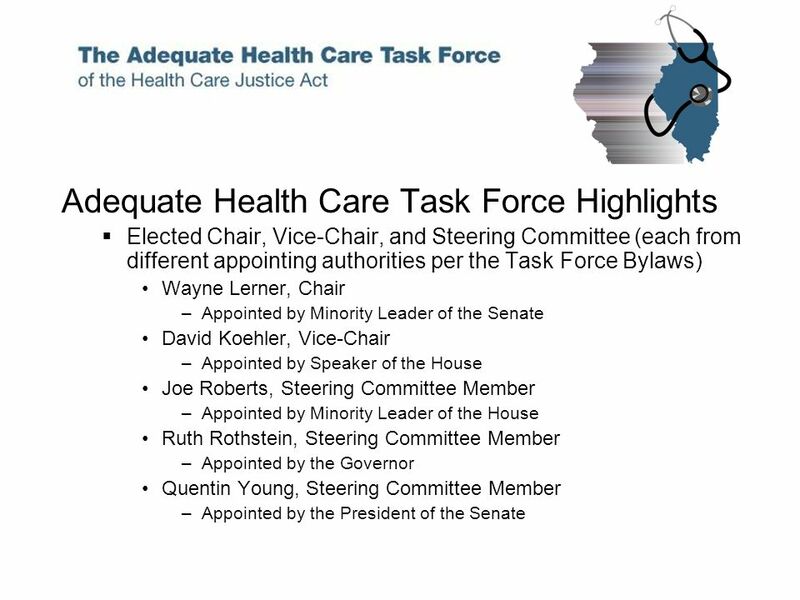 1 RHODE ISLAND House Committee on Separation of Powers April 21, 2004 Kate Wade Program Evaluation Director Wisconsin Legislative Audit Bureau. 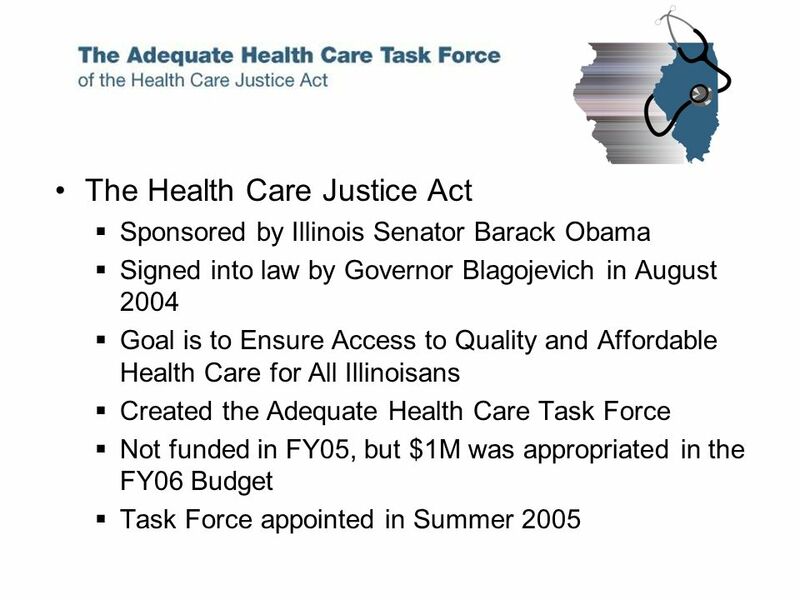 1 Board of Early Education and Care April 14, 2009 Child Care Development Fund – State Plan for Federal Fiscal Years 2010 and 2011. 1 EEC Board Meeting May 10, 2011 Child Care Development Fund – State Plan for Federal Fiscal Years 2012 and 2013. 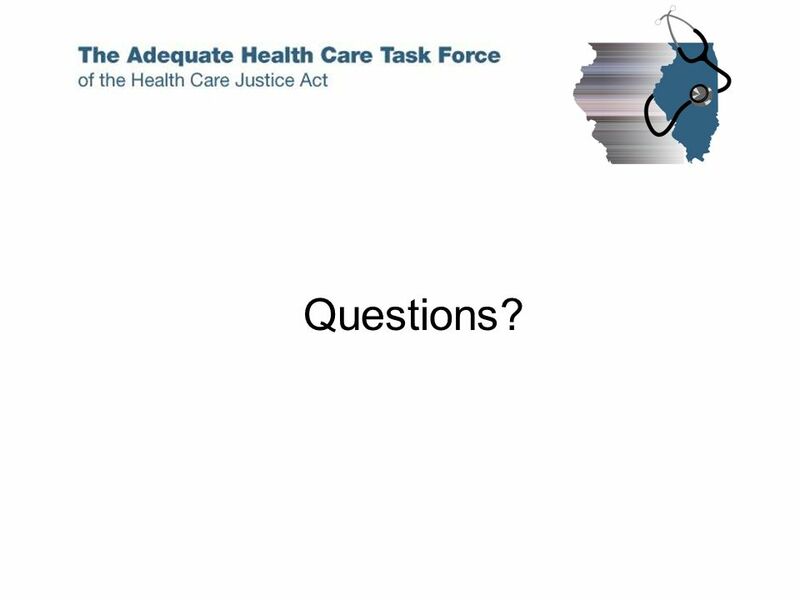 The Role of Medicaid in a Restructured Health Care System Cindy Mann Executive Director Center for Children and Families Georgetown University Health Policy. 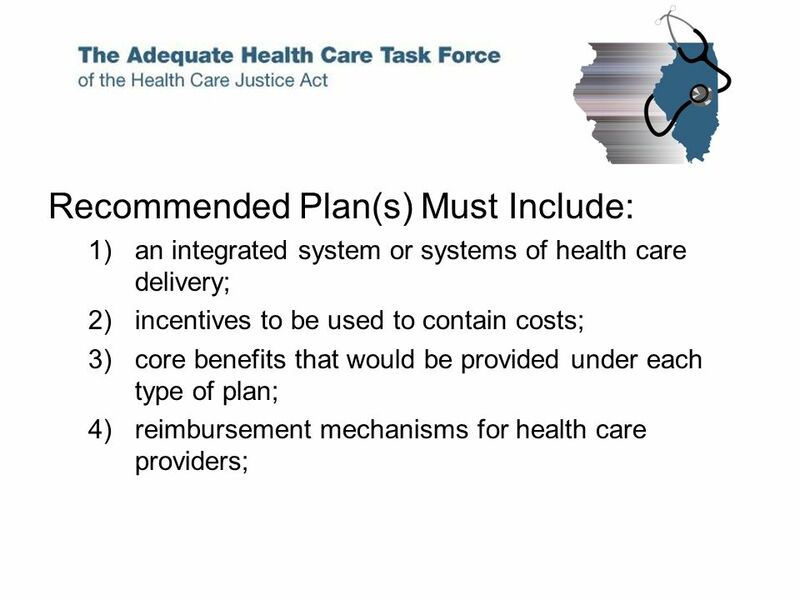 Stay Well Afford Care Secure Coverage July 31, 2008 SCI – San Francisco, CA.